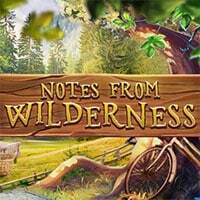 Notes from Wilderness. Today we urge you to take a leap, whether to spin the globe and book a ticket to the first place your finger lands or take the dream vacation you have always hoped to take. Sometimes getting lost turns into more of an adventure than your initial plans. These quiet moments with yourself as you navigate through strangers and strange places may turn into quite an adventure. Amy is an adventurer by nature and wants to discover new places. Every time she makes a wrong turn or misses her train or meet a new travel companion, her life reroutes and expands any previous notion of reality. Today she wants to experience a deeper sense of growth, so she takes a trip to an unknown destination. Or rather, relinquish control and let the trip take her. Like always, Amy takes her notepad with her so she can write everything she finds and discovers. She is writing a ton of notes to document all of the memories. From hiking on new trails, to diving into the deep blue, her notes are truly special pieces of her trip that’ll last forever. Let’s help her document everything in her notepad.